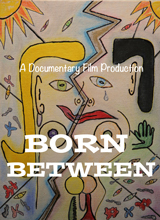 We continue to work to raise funds to produce a feature length film on the Science and History of Intersex. Most people do not know what intersex means, and many refer to it as hermaphrodite or androgynous. There is much more to it than just that. We are accepting donations on the web site. Just follow the ‘Donate Now’ link on the web site and you can use your Paypal account or credit card. Please visit the site, watch the video, share the link and donate whenever you can. And don’t forget to visit our Facebook page to add your own comments or insights.